Located in Rajanagaram, a coastal village in the outskirts of Rajahmundry city on banks of river Godavari in East Godavari district of Andhra Pradesh, KLR's Lenora Institute of Dental Sciences and Hospital was established in the year 2008 under the aegis of the Boon Education Environment and Rural Development Society (BEERDS). Today, KLR LIDS as a center-for-excellence in dentistry has grown to be one of the foremost premiere dental institutions shaping up the students in Southern India. No one can deny how good it feels to give and get a smile. Many psychological studies have shown that smiling can help us cope, make us feel good, and even increase our longevity. Perhaps, the joy of changing a person's life by creating a beautiful and healthy smile is one of the tangible rewards of being a dentist that cannot be measured in quantities. However, there are as many reasons to be a dentist as there are dentists. Career in dentistry provides plenty of rewards and challenges as well as an opportunity to help people and make communities healthier places. In that sense, KLR's Lenora Institute of Dental Sciences and Hospital (KLR LIDS) is one of the happiest places in the country. Here, both pupils and patients smile with confidence. At the helm of affairs was its ever-smiling Founder-Chairman, Late Dr. K. Lakshma Reddy, a great leader and a visionary who believed in imparting education with precise planning and execution. Now, administrated by his wife, Mrs. K. Nagamani, who is the present Chairperson of KLR Group of Institutions, KLR LIDS has never deviated from its founder's vision. Nagamani says, "He (Late. Dr. Lakshma Reddy) started this institution with the vision of providing quality education to aspiring students of dentistry. He wanted to provide quality dental care to the people of the country at the city of Rajahmundry and serve as a model of quality dental and medical care and education center on par with global standards." Unlike the majority of the dental colleges in India, KLR LIDS has always given paramount importance to research. Education has always been the primary objective of the founders of this esteemed institution. With education in the forefront, Boon Education Environment and Rural Development Society (BEERDS) reaches out to the rural setup and helps in educating the rural sector. In affirmation of this dream, the NAAC peer team awarded KLR LIDS with "A" grade, naming the institution, "The best dental health education setup in a rural setting." A leader and innovator in research and academic activities, KLR LIDS has excelled in interdisciplinary learning and teaching by providing access to the highest quality oral health care for the local, regional and global communities. Recognized by the Ministry of Health and Family Welfare, Government of India, Dental Council of India, New Delhi and affiliated to the Dr. NTR University of Health Sciences, Vijayawada (A.P), KLR LIDS takes 100 admissions per year in UG level and 30 admissions in PG level. At present, the institute runs postgraduate courses in eight specialties and the postgraduate diploma in four departments. "Over the years, we have progressed leaps and bounds in keeping quality dental education imbibed with proficiency and human value. Now, KLR LIDS is the only college to have a PG-Diploma among both Telugu speaking states viz. 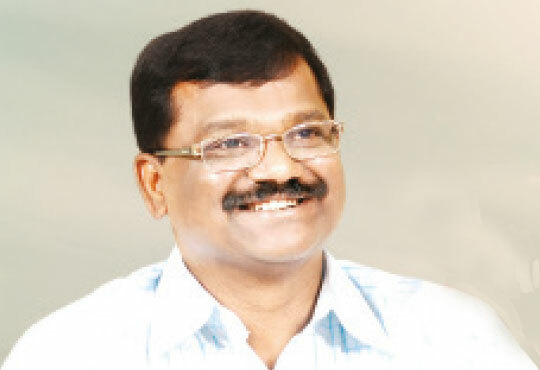 A.P & Telangana," claims Nagamani. Despite being located in a rural area, KLR LIDS has managed to create an enviable infrastructure for dental studies and practice. The sprawling campus of KLR LIDS houses a multispecialty hospital with 100-bed capacity, excellent laboratory and museum facilities in all teaching departments, well-designed air-conditioned digital lecture halls with convenient seating arrangement and audio-visual facilities. The buildings are both aesthetic and modern. "We take a keen interest in the overall development of a student and provides dental clinics equipped with ultramodern dental chairs, cutting-edge diagnostic gadgets and top class oral health care facilities," opines Madhusudhan Reddy, Secretary, KLR Group of Institutions. KLR LIDS is the first college to have a CBCT machine in an educational institution in Andhra Pradesh. The incorporation of Cloud campus with state-of-the-art infrastructure such as new age classrooms, digital library, phantom head lab, health sciences library, hostels with free internet are just a few endeavours of the management, for the betterment of the students. At KLR LIDS, students are motivated and encouraged to utilize different facilities in each specialty for their overall development of knowledge and to keep abreast in the competitive scenario. Access to CBCT in Oral Medicine and Radiology, Laser in Periodontics, Implants in Prosthodontics and Oral and Maxillofacial Surgery, Conscious Sedation in Paedodontics, Operating Microscope in Endodontics, Penta-head Microscopes in Oral Pathology are some of the latest equipment provided to the students in this institution. Students also have access to mobile dental units and mobile dental vans to conduct camps in nearby rural areas. The institute has given special focus to the treatment needs of the differently abled people. As an institution that strongly believes in the empowerment of rural population, KLR LIDS takes special interest in conducting regular dental health checkups for educating, motivating and treating the people of the nearby areas at free of cost. This has created high patient turnout and increased surgical cases, which help the dental students with immense practical exposure during their studies at KLR LIDS. "The average patient turnout per month is around 15, 000. Dental hospital has well versed, competent and experienced full time Dental Doctors catering to various specialties. The high precision equipment like lasers, Implants, CBCT, OPG X-ray, RVG, PSP, CADCAM and so on are available for patient care," explains Reddy. KLR LIDS is an institution where every endeavour has been made to fulfil the stringent criteria of global standards of training dental students at an undergraduate level to enable them to succeed in the international level examinations, become proficient in all modern techniques in dentistry and serves the humanity at large. Supporting the institution in its mission is more than 100 highly qualified staff and a dedicated team of nursing and non-teaching staff in the clinical and teaching departments. Nagamani says, "The highly qualified faculties with rich experience of clinical and administrative skills are our backbone. We not only guide the students in dental education, but also strive to develop student's extracurricular activities and talents with sound moral values." Today, apart from the regular training offered in various specialties in dentistry such as Orthodontics, Prosthodontics & Implantology, Conservative Dentistry, Paediatric Dentistry, Oral Medicine & Radiology, Periodontics, Oral & Maxillofacial Surgery, Oral Pathology & Microbiology and Public Health Dentistry, KLR LIDS provides high quality training facilities in Craniofacial Surgery and Plastic Surgery for trainees in Oral and Maxillofacial Surgery. The institute also exposes the students to maxillofacial prosthetic rehabilitation carried out in the Department of Prosthodontics. To keep the students abreast with the latest developing trends, KLR LIDS conducts interactive CDE programs and workshops/hands-on training quarterly in each department. The institute also motivates students to attend State and National Conferences to learn the latest developing trends and encourages them to practice the same. In addition to that, the one-year compulsory internship helps the students to prepare for their future by enrolling into short term, hands-on courses in rotary Endodontics, implants and lasers. "We also offer specialized coaching to crack the entrance examinations and conducts orientation programs, especially for the outgoing interns, to help them to be an entrepreneur and set up their own dental clinic as soon as they graduate," adds Nagamani. Unlike the majority of the dental colleges in India, KLR LIDS has always given paramount importance to research. The institute has collaborated with various institutions and universities across the globe for bilateral research programs and initiatives. "We have been very active in research and publications. The culture of research is inculcated during the undergraduate training program itself. BDS Students are also exposed to interdisciplinary patient care with world-class training along with MDS training programs in all the dental specialties," shares Nagamani. As a postgraduate institution, KLR LIDS excels in carrying out numerous research activities. To encourage research activities in the institution and to impose quality and standards to the research work done, the college has a Scientific Committee, with its members as eminent people from various fields. Nagamani adds, "We have launched a peer reviewed Research Journal named Journal of Knowledge, Learning & Research in Dentistry. It is going to be indexed by Index Copernicus, DOAJ, Open gate Copernicus, Google scholar and Ulrich's international periodical directory and shortly to be indexed with PUB-MED." Recently, KLR LIDS has sent a one man managerial committee to USA and Europe to study the possibilities and enter into a Memorandum of Understanding (MoU) with other universities from abroad. These MoUs will help the institute to expand the basis for friendship and co-operative educational exchange, which include joint research projects, exchange of students and faculty, exchange of academic information and materials and to organize and participate in joint academic activities such as courses, conferences, seminars, symposia and lectures and to establish multispecialty hospital. "We encourage research activities among students and faculty members for participation in seminars and conferences. We also provide them with state of the art laboratories and enhance research and training grants from funding agencies," says Reddy. Today, as an institution that is formed with no profit motto, KLR LIDS helps all the students to acquire the academic and technical education to participate in re-building the nation. "Our goals are to meet the Regional, National, Global Dental Education needs, and Excellence in knowledge, skills, service, education, and research. Ultimately, we want to be effective, efficient and community acceptance," concludes Nagamani. K. Nagamani, wife of Late Dr. K. Lakshma Reddy, is the Chairperson of the KLR Group of Institutions. A Postgraduate in Zoology, Nagamani has taken B.Ed from Andhra University and she was the Principal of the group's first venture, NIP School. Now, she is administering the College Education wing completely. Her aim of imparting foundation based school education has recently taken shape through KLR Techno Kids School, a special wing established with the sole aim of imparting international quality education.